Every Indian Paypal user can now verify their account without a credit card. Paypal has added option to verify Indian Paypal accounts with a debit card or bank account. It was long term request from Indian users to Paypal, to add debit card verification as an alternative to real credit cards. Many users verified Paypal with VCC created using HDFC NetSafe and other internet banking accounts. However it was illegal to verify Paypal with VCC, and Paypal used to limit accounts using such methods. 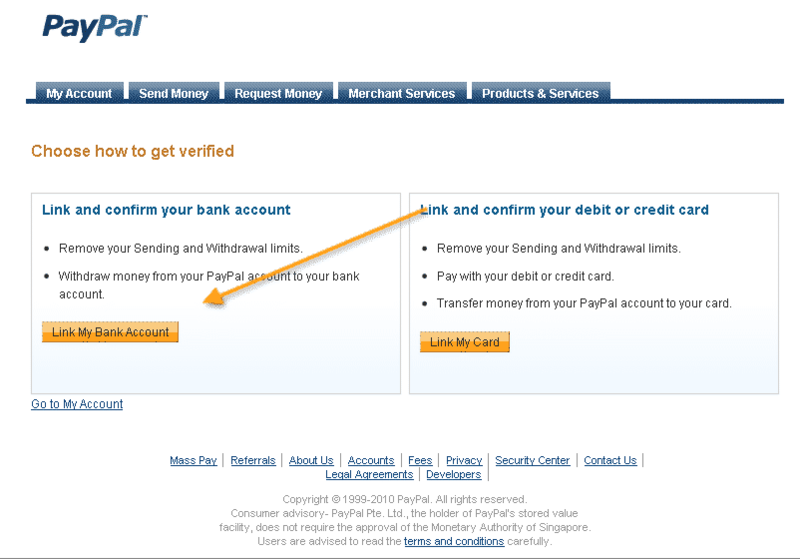 So here is how you can verify Paypal legally in India without credit card and VCC using new facility. 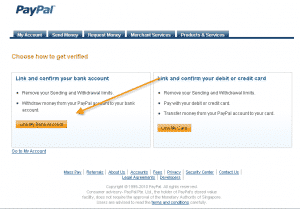 Here is how to verify Paypal with a Indian bank account. Select link and confirm your bank account from the left pane. Here you have to enter your bank account and confirm. Please make sure that you name matches with that in your bank account. Paypal will now make two consecutive fund transfers to the linked bank account. You have to check your bank statement and enter the amounts correctly in the fields provided. Unfortunately you can’t fund your Paypal account using this type of verification. For online purchases and other things you still need a real credit card. What really good is that you can remove all transaction and withdrawal limits and avoid the use of VCC’s.